ETL INTERNATIONAL wins Sheltons Group as new cooperation partner. Founded by Ned Shelton in 1994, the offices in Copenhagen, Sydney and Swatar provide a wide range of highly professional accounting, tax, legal and business advisory services for internationally operating companies. 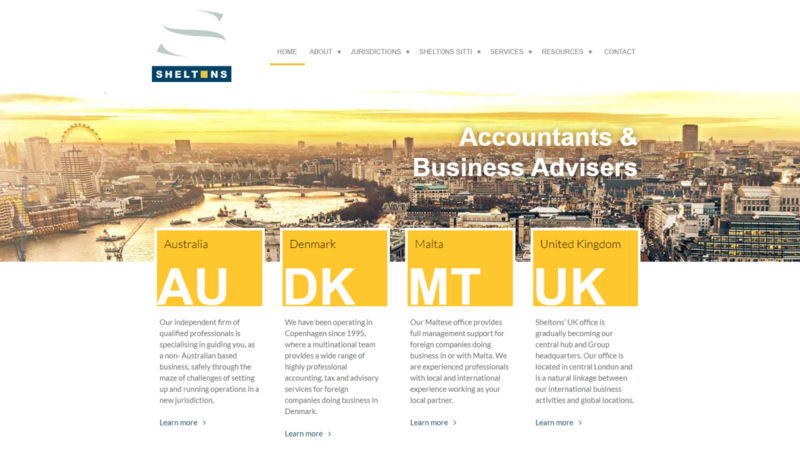 Apart from advising on tax matters concerning the countries where they have offices, Sheltons offers specialist international tax advice to groups based in any jurisdiction. Furthermore, Sheltons has since 1997 conducted worldwide courses and conferences on international taxes. Sheltons International Tax Training Institute (Sheltons-SITTI) is highly regarded for its international taxation events such as conferences, open courses and in-house courses.